Offering an ideal combination of facilities and local attractions, New Mexico State University provides a complete and affordable conference destination. NMSU Conference Services will help you plan your event in every detail. 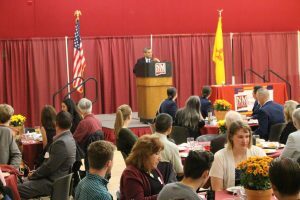 NMSU Housing & Residential Life is pleased to provide conference participants and individual guests with an inexpensive and simple residential experience. Specializing in large groups, our diverse facilities are capable of housing approximately 1,500 guests (between mid-May and early August) among the University’s educational, meeting and activity resources. NMSU is a traditional pedestrian friendly campus and choosing to stay in campus residential facilities will provide your group with unmatched convenience and greater opportunities for participants to form stronger connections within your conference experience. From mid-May to August, NMSU’s residence halls provide an ideal location for value-conscious conference and camp participants to connect with each other, without the distractions of every-day life. Built around interior patios for greater interaction, our residence halls are furnished for double occupancy (single occupancy available) and offer suite-style bathrooms (two rooms share a bathroom). Linens may be requested for an additional cost, or participants may bring their own (twin extra long). High-speed Internet and a cable television connection are available in each room, although participants must bring their own cables and equipment. Laundry facilities are available in each hall. Please note: our residence hall rooms do not contain kitchens. 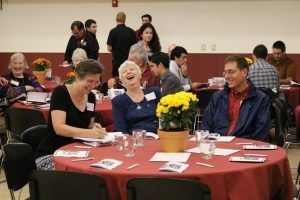 Meal service can be arranged through the Conference Services and the University’s provider. A limited number of apartments may be available between mid-May and early August. Campus apartments are either two-bedroom, one-bath or four-bedroom, two-bath floor plans. Our apartments offer full kitchens, living rooms and private bedrooms. Occupants wishing to use the kitchen should bring their own pots/pans/utensils and dinnerware. High-speed Internet, local telephone and cable television services are available in each apartment, although participants must provide their own cables and equipment. Housing & Residential Life also offers longer-term accomodations to faculty, staff and guests affiliated with NMSU. More info.